Prof. Dr. habil József POÓR, is a Professor of Management Szent István University Hungary, where he teaches a variety of management courses. He earned his Ph.D. from the Hungarian Academy of Sciences Budapest. He is Professor of Management at J.Selye University Komarno (Slovakia). He served as guest professor at five different US universities and taught fourteen short summer semesters. He was as an Erasmus guest lecturer at many other European universities (Lyon-Catholic BS, France; Cranfield, UK; University of Applied Sciences in Frankfurt am Main, Germany; University Arnhem, Holland, Bergen, School of Economics, Norway). He was senior manager at different internationally recognized professional service firms (Mercer, HayGroup, Diebold) and at a private business school (International Management Center, Budapest). Prof. em. Dr. Csaba MAKÓ at Szent István University and at the National University of Public Service. He is scientific advisor at the Centre for Social Sciences – Institute of Sociology, HAS. His research focus: the comparative analysis of the social impacts of automation and organisational innovation with special focus on quality of job and employment. He is involved in numerous national and international projects, the latest one: “Quality of Jobs and Innovation Generated Employment Outcomes – QuInnE, Horizon 2020, 2015-2018). 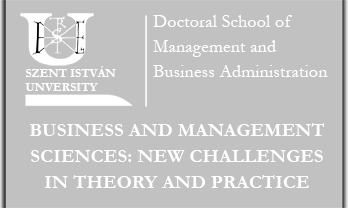 Miklós Illéssy holds a degree of PhD in management and business administration and is specialized in innovation, organizational changes and in learning organizations. In 2003 he started his career as a research associate at the Institute of Sociology of the Hungarian Academy of Sciences. He has been involved in several EU-funded research projects (FP5, FP6 and more recently H2020) which allowed him to acquire experiences in both qualitative and quantitative international comparative research. Currently he is a research associate at the Centre for Social Sciences of the Hungarian Academy of Sciences.